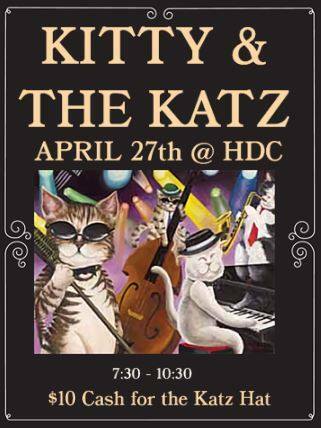 Join us on April 27th at 7:30 pm for an evening of swingin’ bluesy jazz with Kitty and the Katz. Don’t forget your toe-tapping shoes! Admission is $10.